“Keep thy shop, and thy shop will keep thee.” Benjamin Franklin. I was channel surfing the other day, and came across a repeat of one of my favorite television shows - American Hot Rod. The show followed the inner workings of the late Boyd Coddington’s garage as they built custom hot rods for exclusive clients. Broken equipment, unforeseen delays and personality clashes had to be overcome in order to complete the project correctly and on-time. Sounds like the everyday life of anyone who works in mail. Over the last decade some people in the print/mail industry have compared mail operations to factories. Software and hardware vendors have “Automated Document Factory” or “ADF” solutions. Companies rename their print/mail departments to “Bill Factories” or “Document Factories.” Some conferences have entire tracks of classes dedicated to the ADF. I’ve never liked the term “ADF”. It sounds good. But what does it mean? Few people can tell you exactly what an ADF is. If you don’t believe me, ask anyone who says they have an ADF, or vendors who claim to have an ADF solution. Every person you speak to will have a different answer. I’ve sought alternatives to the ADF, and even proposed a few. I’ve written about the “Digital Document Command Center” and given talks on how print/mail managers should take their lead from the U.S. Army. Some people criticized my ideas as having “too militaristic a tone”. Maybe a better role model would be mechanics. And you don’t have to watch American Hot Rod to understand the similarities. If you’ve ever owned a car, you’ve probably had to deal with a mechanic at least once. Probably more than once. Besides, aren't many mail operations called “shops”? 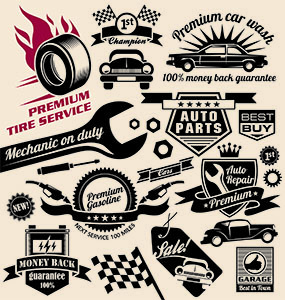 good mechanics earn their customers’ trust. Most auto repair shops are generalists. The mechanics do tune-ups, change fluids and make minor repairs. Extensive work requires a specialist. There are companies that specialize in transmissions, body work or glass repair. Often a garage will outsource part of a repair job without the customer ever knowing. Many mail operations are generalists as well. They handle inbound and outbound mail, express couriers and printing. Other mail operations may focus on one aspect of mail, like outbound statements and bills. Separate departments or external vendors (or some combination of both) handle specialized functions such as address hygiene, document design and presort. Technology is rapidly changing for auto mechanics. When I learned how to drive, I also learned how to change my car’s oil and replace the spark plugs. Today, mechanics use computers to diagnose engine problems. Body work requires specialized chemicals and high-tech safety gear. It’s no place for the uneducated. The world of mail has changed just as drastically. When I started working in mail, the amount on a postage meter had to be set manually by rotating little dials. ZIP codes had only 5 digits. Now meters and scales integrate seamlessly and the USPS relies on a 65-character Intelligent Mail Barcode. Add to that color printing, intelligent inserting and automated job tracking technology. You need to stay informed. Even the smallest auto shops rely on teamwork. Younger workers often handle the simpler jobs and get parts for the master mechanic. Some repair jobs require several people working in a very small area at the same time. Communication and teamwork are critical to success. All mail centers require teamwork, too. Whether sorting inbound mail or shipping express packages, multiple workers are usually involved. Inserting operations may have one person feeding the machine and another person removing the finished pieces. Operators must be aware of the person next to them, and work together to complete the project. I can tell that my car has been repaired properly because it starts right away and the engine runs smoothly. My mechanic usually tells me what part he fixed or replaced. Most of the time I have no idea what the part does or where it goes in my engine. I just know that I can drive my car again. Most businesses don’t know what takes place in the mail center. They just know that they want their mail on time. Information-based indicia postage (IBIP), barcode clear zones and NCOALink don’t mean anything to people who don’t work in mail. The business units don’t want to know the specifics of the mailing profession; they just want their mail handled quickly and correctly. Because of their customer’s lack of industry knowledge, both mechanics and mail center managers must be trustworthy. I bring my car to the same mechanic because I trust him. The car is usually fixed correctly the first time. If not, my mechanic fixes it at no charge. He makes it right. Mail center managers need to be trustworthy mechanics. Their customers should know that the shop is staffed by a team of professionals who are knowledgeable about a fast-changing industry. Customers expect that their mail will be processed correctly the first time. And if there’s an error, they trust that the mail center manager will make it right. For years, mail center managers have struggled to get “out of the basement”. Maybe, the way out is through the garage. So, put on your coveralls, get your tools ready, and put your shop to work.